Presenting the unveiling of my cover of the split zine which is set to be released, Goddess-willing, before the end of this week. 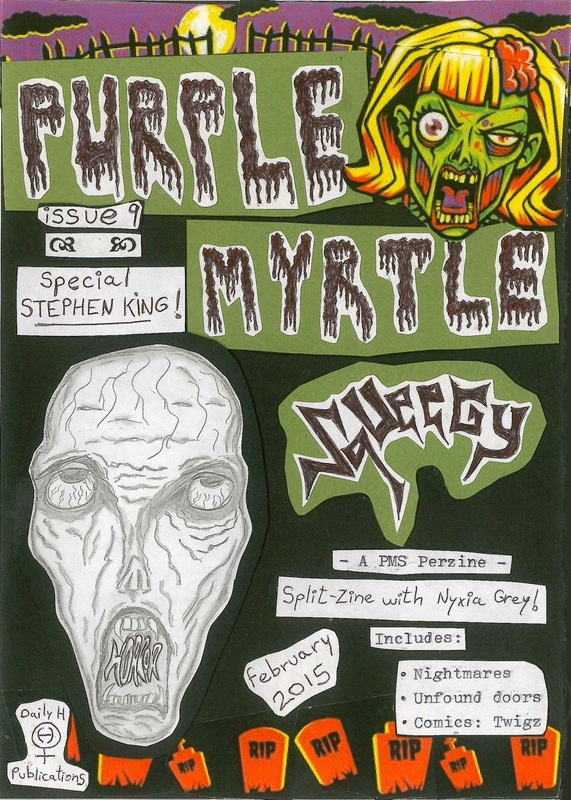 Issue n. 9 of Purple Myrtle Squeegy, and Nyxia Grey's issue of Boo'ya Moon is a special about Stephen King, the most amazing horror novelist the world has ever known. It will soon be available for purchase or trade on my Etsy shop, as well as Nyxia's Etsy shop. It will also be available during the NY Feminist Zine Fest on March 7, Chicago Zine Fest on May 8-9, and Portland Zine Fest on July 18-19. 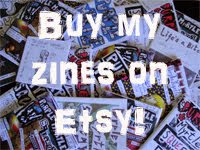 So mark your calendars, save up your cash or your zines for trade, and get this terrifyingly awesome issue soon!